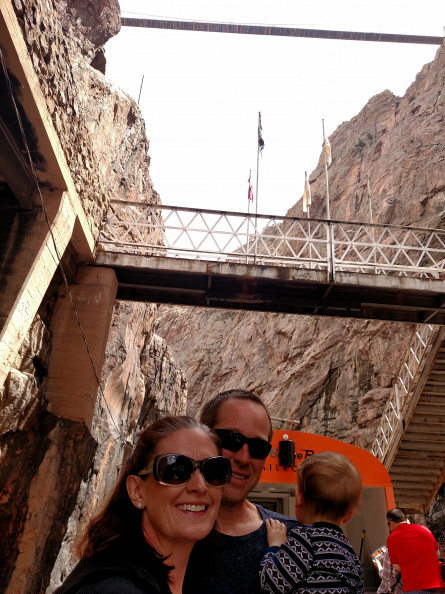 Kathleen, me and Roscoe on the on the Royal Gorge train. Above us (apparently ~1,000 feet up) is the Royal Gorge bridge. Until the early 2000s it was apparently the highest bridge in the world.